Botany is one of the main branches of Biology (zoology being the other); it is the systematic and scientific study of plants. Botany covers a lot of scientific discipline, such as chemistry, pathology, microbiology etc. Botany also covers specific sciences that caters for a specific study area in plant life such as Photochemistry that deals with chemical reaction, product and chemical derivatives in plants as well as it effects on other biological species, Plant Anatomy and Morphology which deals with structures, evolution, process and mechanism of plant parts and Taxonomy which is the science of describing, naming, and classifying of organisms. New sciences such as Genetic Engineering which caters the issue of Genetically Modified Organism (GMO), Economic Botany which deals on how to utilize the plant kingdom and even Forensic Botany, that uses plant to find clues for crimes. Since the core of botany is plants (though it should also be reminded that in the study of botany, Kingdom Fungi and Algae is also discussed, though it has its own study: Mycology often paired with Virology, Phycology for algae). Basic Introductory Botany course will enable you to understand the interesting mechanisms of plants which include their growth and development, chemical properties, genetics, ecology, evolution etc. and most of them will instill an understanding on the importance of plants. Foremost we can not hinder the value of Pharmacology (Study of Medicinal Plants) which have opened ways in improving human health. We cant discuss our environment without including Botany in that, which we call Ecology. Our mission is to foster an environment of excellence by attracting and supporting the outstanding students, faculty and staff needed to sustain our vision. We focus on the patterns and processes that enable predictive understanding of plants and their environments at local, regional, and global scales, leading to strengths in the areas of ecology, evolution, and systematics. 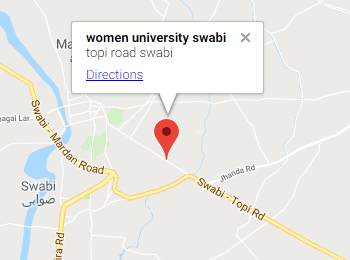 The Botany Department is unique at The University of Swabi for Women because of our focus on fundamental research and teaching on plants as well as our study of populations, communities and ecosystems of which they are the key component. Our faculty conducts basic and applied research relevant to the state, nation and globe. Such topics include ecological disturbance, invasive species, symbiosis, global climate change, medicinal plants, phycolgy, mycology and GMO. These topics are investigated using such tools as spatial data analysis, remote sensing, genomics, microscopy, biogeochemical and physiological approaches and field and laboratory experiments. Our students receive a high quality education through engagement in these topics and tools and faculty involvement in science education research. Within the department, we offer a BS and M.SC. in Botany.